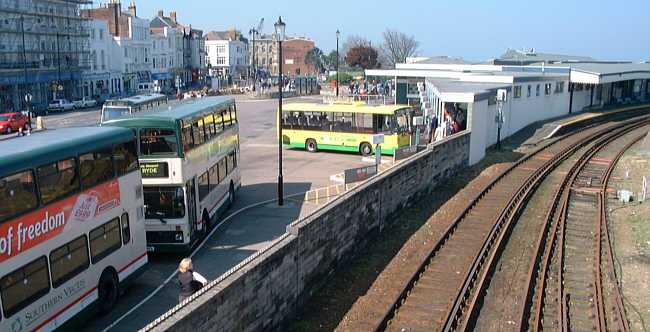 This train is loading passengers from the ferry at Ryde Pier Head. 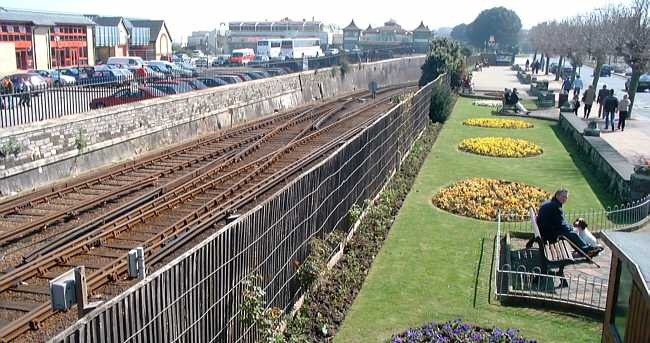 The electric railway now has only eight stations from Ryde Pier Head to Shanklin. The network was once extensive. Click for 1948 rail network map. There are now two additional stations, one at Smallbrook and the other at Lake. There were once four platforms here (in addition to two tramway platforms making six in all). 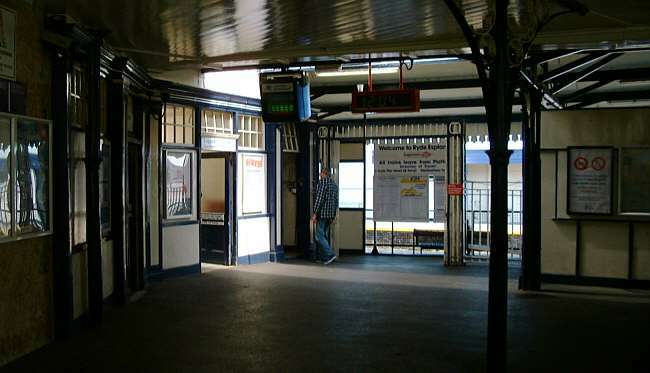 The three main line platforms were supplemented with a fourth in 1933 - this was built on its own section of pier where the railings to the left of this picture are now. 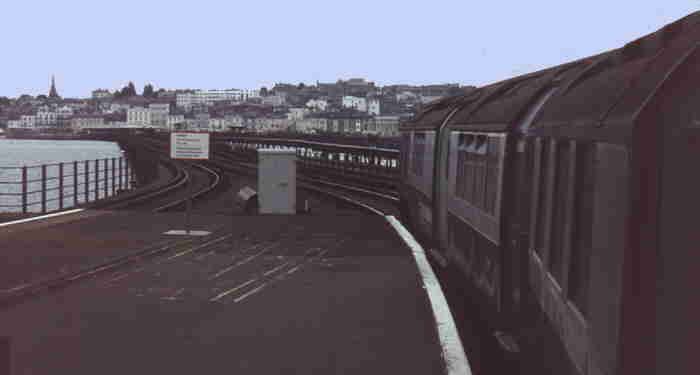 Two tracks were removed in 1967 and the platform widened (notice the darker tarmac). 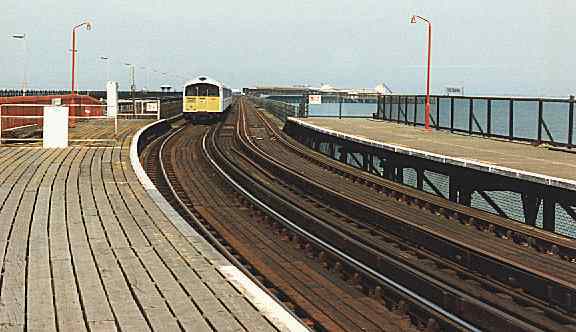 At that time (1967) both tracks were in continual use with the left track used mainly as a shuttle to the Esplanade, while the right hand track was used for through trains to Shanklin. This view is from Ryde Esplanade looking towards Ryde Pier Head. The right hand track is very rusty due to very infrequent use these days. A view from the bridge to the Hovercraft terminal looking towards the Esplanade station and the pier with Ryde bus terminus in the foreground to the left. From the same location as the last picture, looking towards the tunnel. Note the well kept gardens. This view is from the northern end of Smallbrook station - this was once the site of the famous Smallbrook Junction signal box - reputedly the most photographed box in the world! The line diverged here to Newport before the tracks were lifted. 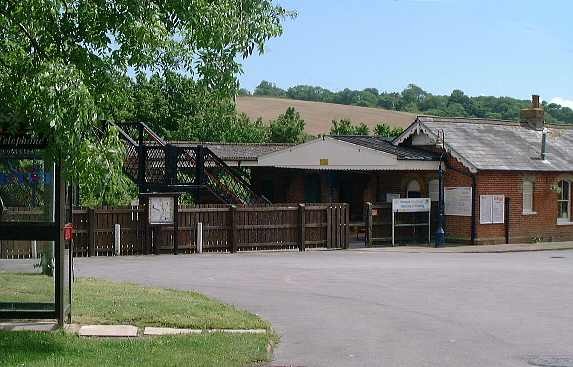 However the steam to the left of the picture is from a train on the re-built line to Wootton - this station is now the connection between the electric & steam railways. Rural Brading station - about five minutes walk from the town. A train approaches. Note the boarded up signal box - this used to be the junction to St Helens & Bembridge Branch and would get very busy on a summer Saturday. 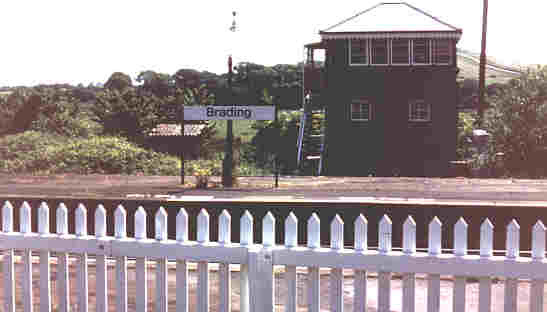 The signal box in use in the early 1980's. The line to Bembridge had long since been closed. A lot of effort went into this railway. 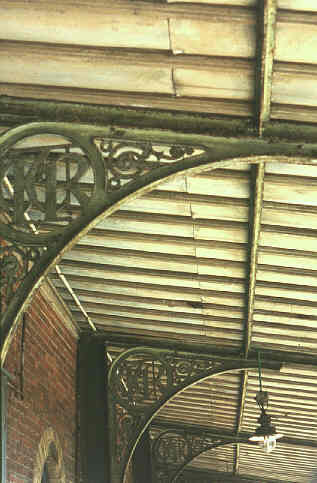 The wrought ironwork seen here at Brading is magnificent. Note the Isle of Wight railway logo 'IWR'. 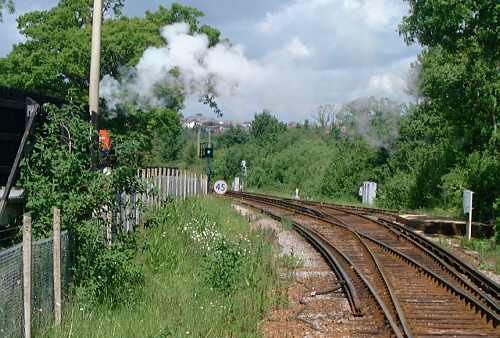 The gas lamps were replaced in the 1990's when the signal box closed - shame as they added character!